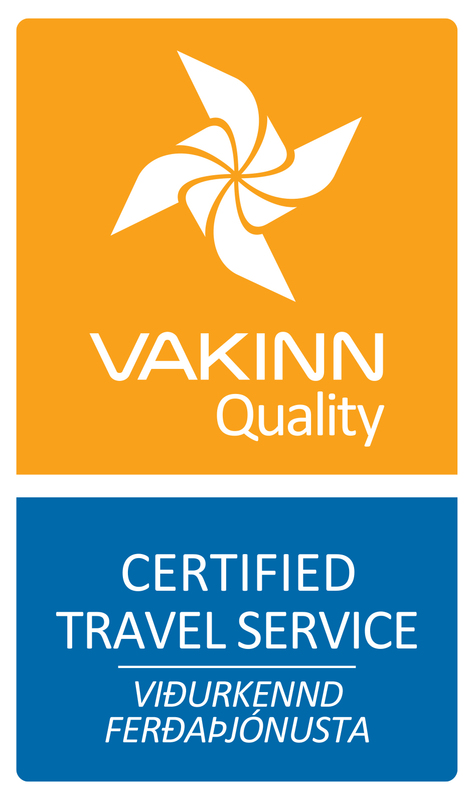 Our experienced team welcomes you to Iceland, Norway and Finland! Let us organize and operate your trip. 40 years of experience of tour operations. Find out more about our group tours, fly and drive or railway packages, northern lights tours or other exciting winter programs. The Most popular Iceland vacation packages are our Self Drive packages. Enjoy the flexibility of intimate travel and pre-arranged packaged tour to Iceland. Finland Tours offers an exciting portfolio of vacation packages in Finland. We offer various city breaks in Helsinki in combination with Stockholm and Tallinn, as well as other vacation possibilities in Lapland and the Lakeland area. Norway Tours offers the most popular vacation packages for your trip to Norway. Self Drive packages, Norwegian Fjord Cruises, Oslo and Tromso Vacation Packages as well as Guided Tours in Norway. Terra Nova is a leading incoming tour operator with over 40 years of valuable experience in the market. We are a whole selling company, and through our partners abroad we produce and operate a whole range of travel possibilities in Iceland and other nordic contries. Excellent! I had the best trip of my life. Terra Nova helped make my trip as seamless and as easy as possible. Die Reiseleiterinn Ina ist sehr kompetent, freundlich, unaufdringlich und hat sich immer etwas besonderes einfallen lassen (z.B Lava- Schokolade). Klasse! The Tour was very well organised and we could just follow the itinerary as given by the tours. It was an awesome experience visiting the wilderness of Iceland. The hotels, package booking were all great too. Alexandra supervises the land arrangement part of Terra Nova for both groups and individuals and is in charge of all processing for the German market. Anna is the Business Manager for Iceland Tours, our online booking division. Anna is Icelandic and speaks English. Besides being the Office Manager, Arnheiður handles all payments. She has been working for Terra Nova since 2003. Birna is the Financial Manager of Terra Nova as well as our sister company Heimsferðir. Brynja works in our sales department where she handles requests from many of our partners form different countries. She is also our Social media & Online marketing specialist and takes care of various tasks in that area. She is Icelandic and speaks English and Danish. Clara works in the Operations Department. She is responsible for organizing and arranging group tours. She is German and speaks German, English and Icelandic. Fernanda works in the Operations Department. She is responsible for organizing and arranging group tours. She is Brazilian and speaks Portuguese, English and Spanish. Guðrun has been working for Terra Nova since 2001. Harpa works in the sales department where she handles requests from many of our partners from Sweden, Spain, USA as well as other countries. She is Icelandic and speaks English and some Spanish. Inga works in the operations department. She is mainly responsible for organizing and arranging trips around Iceland for groups. She is Icelandic and speaks English and Icelandic. Johannes works in the Operations Department. He is responsible for organizing and arranging tours for Groups. He is German and speaks German, English, Swedish, French, Spanish, Dutch and Icelandic. Kristín works in the Operations department. She is responsible for organizing and arranging trips around Iceland for individuals. She is half Icelandic and half Peruvian and speaks Icelandic, Spanish and English. Kristín works in the Operations department. She is responsible for organizing and arranging trips around Iceland for individuals. She is Icelandic and speaks Icelandic and English. Magdalena works in the Operations department. She is responsible for organizing and arranging trips around Iceland for groups. She is Hungarian and speaks Hungarian, English, Dutch and French. Margrét works in our sales department where she handles requests from many of our partners form different countries. She speaks English and Icelandic. Marine works as a sales agent at Iceland Tours, our online booking division. Marine is French and speaks French and English. Matthieu works in the sales department where he handles requests from many of our partners from different countries. He is French and speaks French, English and Icelandic. Reynir works as a sales agent at Iceland Tours, our online booking system. Reynir is Icelandic and speaks English and Icelandic. Riina works as a sales agent with our Iceland Tours team. She is responsible for organizing and arranging trips around Iceland for individuals. She is Finish and speaks Finish and English. Sonja works as a sales agent at Iceland Tours. She is responsible for organizing and arranging trips around Iceland for individuals. She is from Switzerland and speaks German, English and Icelandic. Tinna works in the Operations department. She is responsible for organizing and arranging tours for individuals. She is Icelandic and speaks English and Icelandic. Vassanta works as a sales agent at Iceland Tours, our online booking division. Vassanta is French and speaks French as well as English and Icelandic. Virginie is our product manager for Norway Tours, our online booking engine offering a great selection of vacation packages in Norway. She is French and speaks French, English and Spanish.